This is the number one item I want for my 22nd birthday, which is in 11 days. I'll be 22! I'm so excited! I want one of Michael Kor's beautiful watches. I have been wanting a chunky gold watch for a long time now. These watches come with a hefty price tag, $180 - $250. 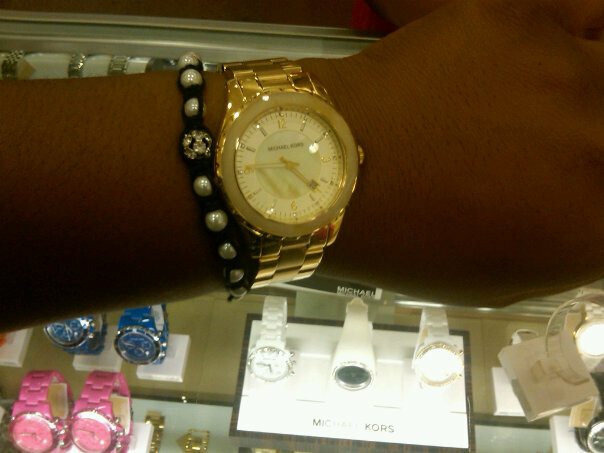 I tried some on at Dillard's today and fell in love with the oversized horn watch (the third pictured). I hope my parents get me this for my birthday. My bracelet is from Express. It's kind of like the Loren bracelets found here. I like the layered look with watches and cute little bracelets. I also tried the YSL Parisienne perfume and it is divineeeeeeeeee! This is also on my birthday wishlist. I love it so much. The testing swatch is so beautiful. omg I want that watch! 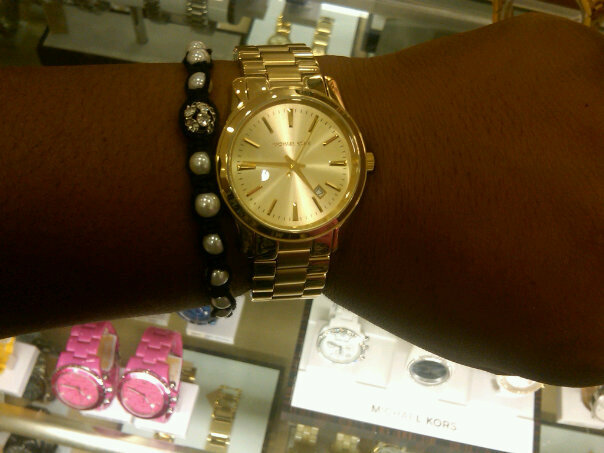 I HAVE THE MICHEAL KORS OVERSIZED WATCH IN GOLD LOVEDDDDDDD IT! 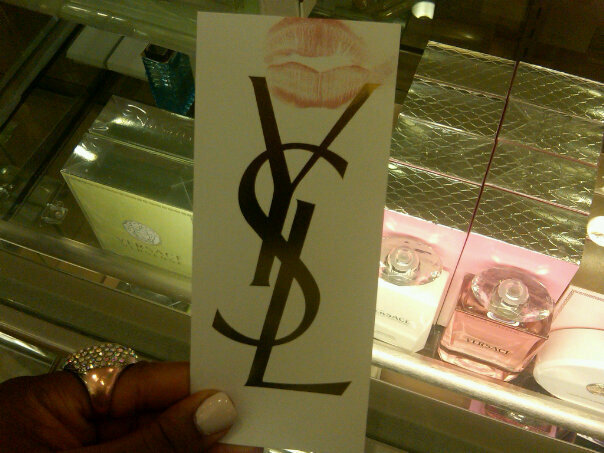 UNTIL MY B.F WORE IT BECAUSE OF ITS SIZE GUYS LOVE IT TO SCRATCHED IT TO DEATH BUT I LOVE IT DOWN...ON TO THE NEXT! Hot! I have the Parisienne it's one of my faves. 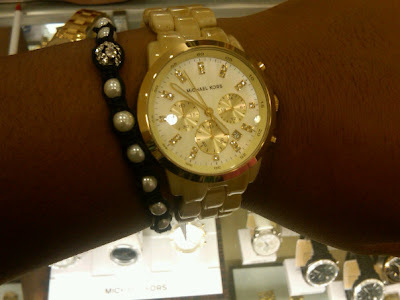 I thought I was the only one that liked the Michael Kors watches for their large size and shiny gold. I have been dying for one also. That $225 is a minor setback. Yeah, MK watches are so cute! I want the oversized rose gold one ;) Go big or go home!